(H)ap(p)y 3rd B'day Apy Cooking! Apy Cooking turns three today. And as it always happens, I was taken back to my very first post. My most favourite dessert. Something I could eat all day, everyday, if my metabolism worked overtime like Jughead's. So I thought of mentioning this delicious dessert yet again along with two others that I made to celebrate the earlier birthdays of Apy Cooking. Is this cake? Nope, it's heaven's delight. Take a bite and feel the burst of sweetened milk dancing on your palate. Coffee at it's best. Coffee and cream. Coffee and cake. Coffee and chocolate. Layers of happiness. "Pick me up"? You bet! Every girl likes dolls. Imagine one made of chocolate. And hazelnut spread. And wrapped in delicious pink fondant. With purple beads. A cake that will make any girl squeal with delight. I absolutely enjoyed every tiny moment I spent on making these beauties. 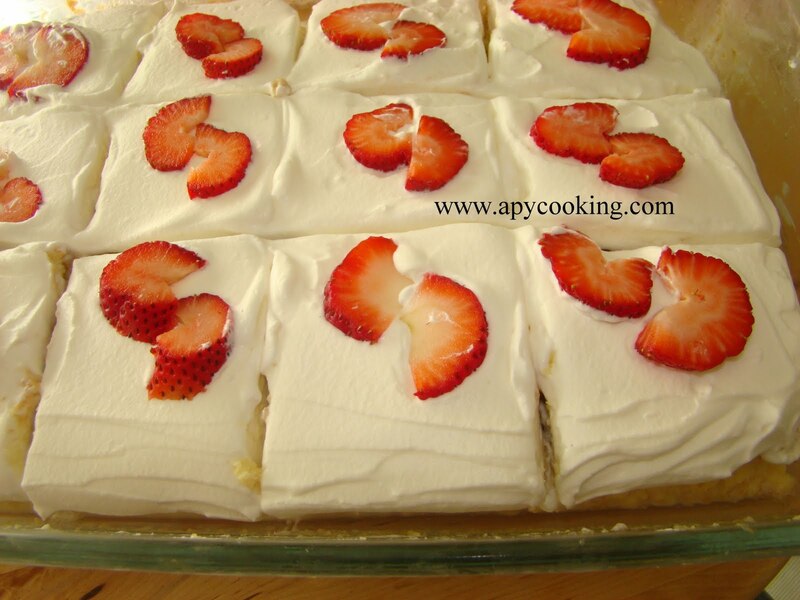 Specially when I poured the three milks all over the cake when making tres leches. And when I made the different layers of tiramisu. 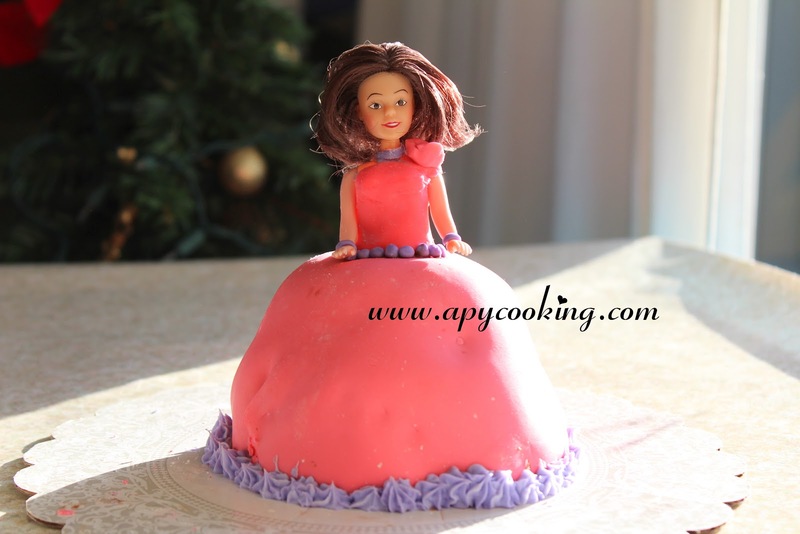 And when I rolled the fondant to make the doll's dress. And I enjoyed all the little trials and errors that went into making every single post on Apy Cooking. 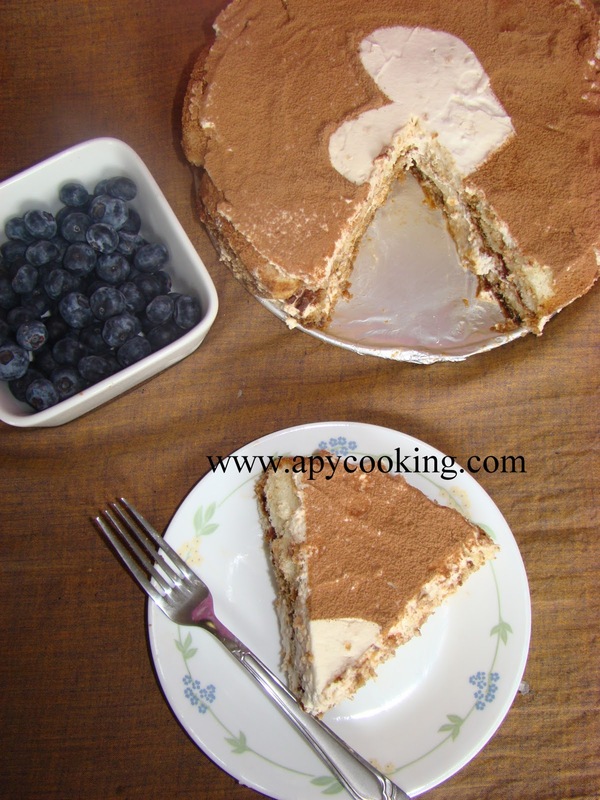 Happy B'day Apy Cooking and thanks to all my dear readers!